Rebecca and Keegan are not your typical bride and groom. They are what you can call non-traditional. They've been together for 10 years so to them, it kinda already felt like they were married. They weren't worried about not seeing each other. Heck, they even shared some mimosas in the morning together! Without telling anyone except for a few people, not even their parents, they had a close friend marry them. They both lead such busy lives that they really just wanted their day to be relaxed and to enjoy each other's company. They also wanted to have an excuse to eat pizza, cake, and take photos to remember the day. 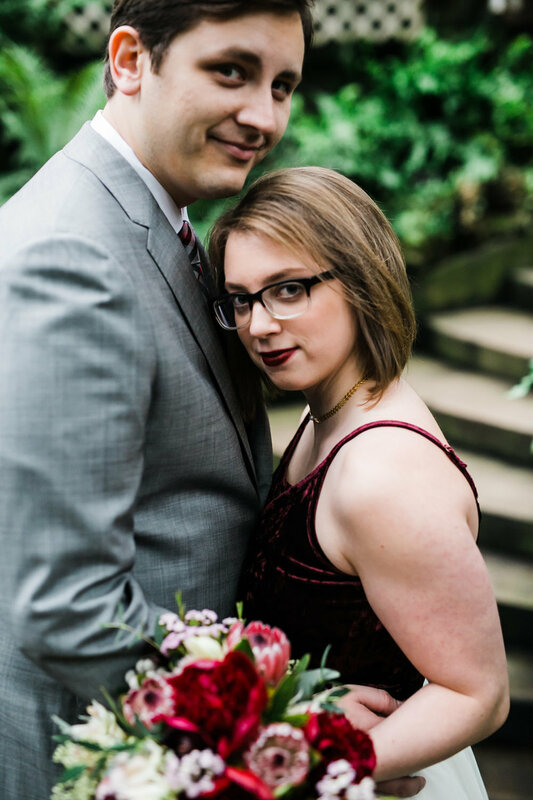 They chose Artifact Events a modern-industrial venue for their vows and a few wedding photos and then headed to the Lincoln Park Conservatory to complete their day!